Characters Explainer videos are best when it comes to promote your business, products or services. You can use a virtual character, stage, animation and frame a short story around him/her and tell your audience how your business and services will help them achieve something great. Also, people trust more easily on Characters Explainer video’s than any other promotional videos. 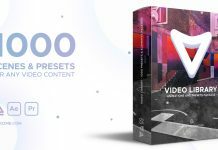 If you are Motion Graphics artist and your client has just asked you to deliver a Characters Explainer video, then this collection is definitely for you. Take a look at 7 Best and Amazing Characters Explainer After Effects Templates. 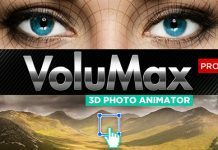 These After Effects Templates are offered by various artist around the globe. Handy Promotion is a clean and stylish After Effects corporate promo template project. With Handy Promotion, you can promote your service, application, product, website, company, portfolio, agency etc. easily. Its editable animated animation character can be made male, female, or you can add some elements on them. This flat vector style toolkit can be the perfect business characters explainer or presentation for your company. May your company be a big corporate business or a small freelance shop, this video can work for a wide range of purposes. You can also use it to show off your design work or other portfolios depending on the branche you are in. With this organized package you can create your own promo videos in no time. You will have full control over the character its appearance. You can change its hair style, skin color, clothing style and perhaps add in some additional elements such as glasses, a scarf, a mustache and so on. Build your own nice, and funny story, to Promote your Products, Services or Apps, with this cartoons characters, background and icons. You have many possible combinations for create your male or female own character. You can choose between 12 stages and 46 icons. 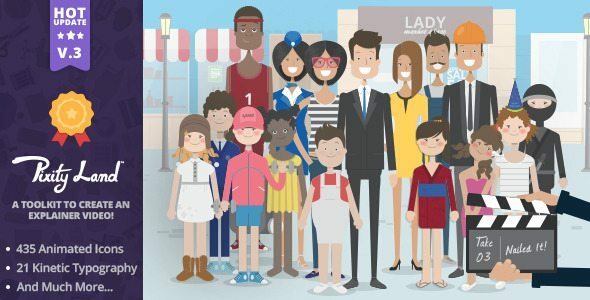 Character City is an incredible animation factory, a complete Character Explainer video toolkit: Characters and Animated Backgrounds that can be customized from within After Effects using a visual interface. Pre-set animations are also included and the project does not require any additional plugins. 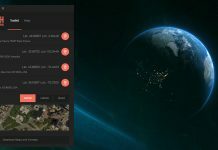 Customize your own After Effects Templates and use for your design or video projects for some surprising positive results. The moving backgrounds available in this character creator program have great potential to develop unique video presentations in your way. Get the updated Character City V4 Explainer video toolkit HERE. Do you offer a great service? Maybe you have an app or product that’s very useful. Then allow the Mike and Mary characters to market your product or service with this stop-motion inspired whiteboard animation. Excellent project to promote your business, product or service, with this awesome video you can explain to your customers the benefits that they can get. The project it’s very easy to customize to adapt a your colors of your business, because this project include a color control panel where you can change the customize the character and stage. All above mentioned After Effects templates are Property of their Respective Owners. Nice collection!!! Animated whiteboard and explainer videos are really do well for product or business promotion. Absolutely, I recently used an explainer video template for a client. He was really happy with the output. Thanks for sharing! I recommend this free mini explainer after effects template bluefx.net/after-effects-templates/mini-explainer/ that can be used by a beginner too, since it has a video tutorial included. Glad you commented on the post. I have added a link to the updated version of character explainer.